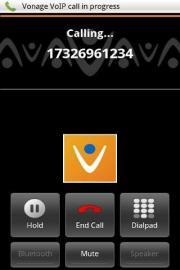 Can Over-the-Top Voice Services Free You From Mobile Minutes Charges? How Soon Will Your Mobile Video Chat Be Fantastic? Even in an era when just about every service is available over the open Internet or through an app, consumers still have to pay for voice service. The “voice charges” line item still pops up on every cell phone bill, and it isn’t cheap. Someday in the not-too-distant future--when all voice communications transmit via carriers’ data networks instead of a separate voice network--the carriers will bill you just once. Until then, however, savvy phone consumers can keep their voice-minutes needs to a minimum by taking advantage of the many so-called over-the-top services, which provide voice, video, messaging, and more by way of your device's Internet data connection, typically for free or for notably lower fees than the standard voice-minute plans charge. The savings can be even higher when you use an OTT service through your device's Wi-Fi connection, since Wi-Fi services are often free, or at least much more cost-effective than mobile networks are for high-bandwidth applications such as video chat or rich content messaging. If you're using an OTT service over your device's regular wireless data connection, you need to pay attention, because it could chew up more data than you intended, incurring overage charges and eliminating any cost savings. Two of the more well-known over-the-top services are Skype and Apple's FaceTime. 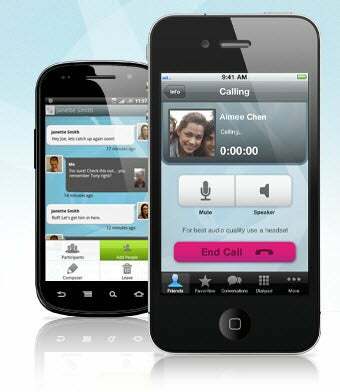 Skype, which hundreds of millions of people use mainly on desktop or laptop PCs, is an app that provides free calling, video chat, and messaging between Skype users, and can make calls to regular phones for a cost. It is also available for iOS, Android, and Windows Phone, though with some limitations; Skype's mobile implementations require some user gymnastics to set up, as well. FaceTime, as iPhone and iPad users know, allows owners of Apple products to conduct video chat sessions with one another. However, until the next version of Apple's iOS mobile operating system ships this fall, FaceTime works only over a Wi-Fi connection. Beyond Skype and FaceTime, you can find a host of newer entrants in the OTT voice, video, and messaging market, offering various tweaks and features. One of the latest to gain a significant following is the Bobsled service from T-Mobile, which originally launched as a way to initiate a call from a Facebook page. T-Mobile's Bobsled is available for Android and iPhone. Bobsled has since morphed into more of a full-featured Internet voice app, available for Android and iOS mobile devices, but not for Windows Phone and BlackBerry. But unlike with Skype, all Bobsled calls are free, and the Facebook integration (such as the ability to leave voice messages on friends' Facebook walls) may be of greater interest to people who spend most of their online time on Facebook. According to Alex Samano, director of communication services for T-Mobile USA, the Bobsled service has attracted 2 million users, who have made more than 10 million calls since the app's introduction in April 2011. Apparently the service is very popular among people who wish to contact folks in other countries, since according to T-Mobile 80 percent of all Bobsled calls so far are to a number outside the United States. The other interesting twist to Bobsled is that you don't need to be a T-Mobile customer to use it--in fact, according to T-Mobile, 95 percent of its 2 million users aren't T-Mobile customers. Another area attracting over-the-top innovation is video chat, in which two or more people use mobile phones or desktop connections to have a virtual-reality kind of interaction. One of the newer entries in this market is Tango, an app that soared like a rocket when it debuted in the fall of 2010. 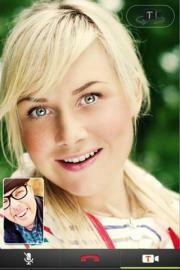 Tango is one of the most widely used OTT voice and video chat services. What seems to have made Tango more of a success than some previous entries in the field is its ease of setup, which requires just a name and a phone number. Another interesting feature lets you turn off the video midcall, in case you need to do a hair check. Tango, which raised a $40 million round of funding in April, claims to have 45 million registered users. Tango works over cellular connections and Wi-Fi, and offers client software for iOS, Android, and Windows Phone devices. It's also available for PCs. Perhaps more full-featured is the OoVoo video chat service, which allows up to 12 people to participate in a group video chat. OoVoo has both a free version and a premium version ($30 per year or $3 per month), as well as a new Facebook app that should help the company add to its claimed installed base of 46 million users. The premium version eliminates ads, allows screen sharing, and has "priority support," according to OoVoo. Can Carriers Compete in OTT? Even as the new services gain followers, the real competition may start when the major wireless carriers finally give up on their voice and messaging cash cows and try to compete on features. A big, expected shift in the phone-billing arena finally arrived last month, when Verizon unveiled its first attempt at so-called family plans, which allow users to bundle multiple devices together under a single data-services contract. Although the family-plan approach does help to cut the costs of separate voice and messaging plans, it doesn't result in savings for every user. It also fails to answer the competitive lure of video or voice chat services that are portable across multiple platforms and work with a single username. We may have to wait several years for true champions to emerge in the over-the-top marketplace--or perhaps we'll be stuck with a mixed bag of similar but incompatible offerings. I haven't even mentioned the OTT services available from voice providers such as Vonage (which now has a mobile app), or from device manufacturers like Samsung, which is building a button for its ChatOn service into some of its newer phones.